How Do I Get My Hair Shiny Naturally? I have medium length brunette hair which is naturally curly. My curls are big and loose which is great. I love my current texture. My only complaint is that because my hair is curly, it never seems to be super shiny. I’ve tried different shine serums and while they add shine, they feel greasy, sticky or oily on my hair. I also rinse my hair in cool or cold water to close the cuticle and give my hair natural shine. It helps a little bit, but not as much as I would like. How do I get that super watt shine that celebrities like Bethenny Frankel seem to have on the Red Carpet? Is there a natural recipe I could whip up at home? It’s true that naturally textured hair can look less shiny than bone straight strands. Curly hair tends to be drier than straight hair is, and the cuticle is a little rougher. Darker colored hair, especially when worn straight, tends to look shinier than lighter hued hair. The smoother and straighter the hair cuticle, the more light it will reflect. Hair which reflects the most light has the brightest shine. When hair is naturally textured light will be absorbed into the curls creating less shimmer. Also, when hair is dry or damaged light is absorbed down into the cracks and crevices making hair look dull, drab and lifeless. Studies has also discovered that hair dulled or clouded with product build-up or excessive product use may not shine as brightly as hair which has a more pure surface. The surface of the hair may also be dulled by some types of minerals naturally occurring in some water sources. It’s also important to note that hair which is longer will reflect more shine than shorter strands. Also, hair worn straight will shimmer more easily than tresses worn with layers or texturized. Can naturally textured or curly hair achieve shine naturally? Yes. The naturally reflective surface of curly or naturally textured hair can be enhanced with certain ingredients which reflect light brilliantly to maximize hair’s radiance. To create megawatt shine on curly hair you need to maker sure it is hydrated, smooth and there are no cracks or crevices along the surface of the hair which can steal light reflections. Listed below are the most common methods for creating natural shine on all types of hair from straight to naturally textured. 1. Keep hair well-trimmed to eliminate splits, rips, tears and snags which can steal natural light play. 2. Cleanse hair only as needed to minimize dryness. Utilize hair cleansers which amp up hydration. Consider alternative shampoo methods such as a Diluted Shampoo (DS), Conditioner Only Wash (CoWash), Low Poo or Water Only (WO) rinse. When possible avoid products which contain harsh Sodium Lauryl Sulfate or Ammonium Laureth Sulfate. 3. Only wash detangled hair is lukewarm water. Hot water will strip natural oils from hair leaving it dull and dry. 4. Detangle in the shower by applying a rinse-out conditioner and use fingers or a wide tooth comb to detangle horizontal sections from the ends to the roots. 5. Always rinse hair completely to remove product residue which can leave a dull film which robs hair of shine. 6. Finish with a cool or cold water rinse to close cuticle and amp up shine. 7. Always towel blot rather than rubbing. When wet hair is rubbed it will split and break more easily which can cause hair to become dry and damaged. 8. Apply a leave-in styling cocktail which will fill any cracks or crevices in hair’s surface to help reflect light. This styling cocktail may include, but not be limited to a leave-in conditioner, a defrisant and/or a shine enhance styling cream. Note: Remember that a little bit goes a long way and it’s important to avoid overdoing product application which can dull the pureness of the outside of the hair’s cuticle. 9. 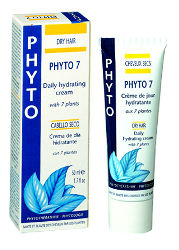 Air dry hair when possible since heat can rob hair of shine producing moisture. If you must blow dry, set the dryer on the lowest, coolest setting. 10. Direct the air flow of the blow-dryer down the hair shaft from the roots to the ends. This helps smooth the cuticle as it dries leaving hair naturally shinier. 10. Finish every blow drying session with a cuticle-sealing blast of cold air. 11. Once hair is dry apply a small amount of polishing cream into the palms of the hands and massage together. Finger pick lightly through the ends of the hair only. If shine serums make hair feel sticky, oily or greasy, opt for polishing cream or light shine sprays. After massaging into the palms of your hands brush lightly over the top of the hair, but avoid the roots where shine spray may be too concentrated. Optionally you may spritz a tiny bit of shine spray on a 100% boar bristle brush and run it lightly through your hair. 1. Use a hair mask or conditioner on a weekly or bi-monthly (or as needed) basis to keep hair is kept soft and hydrated. 2. Consider using an at-home glazing treatment which contains crevice-filling silicone. Keeping cracks in the cuticles repaired prevent them from sucking up light. 3. Investigate the option to do a pre-shampoo oiling with coconut or extra virgin olive oil. Coconut oil has been proven in tests to be one of the best oils for being the most successful at penetrating the hair shaft and preventing hair damage. 4. Opt for a pre-shampoo detox session to remove product build-up. Mix 2 tablespoons apple-cider vinegar or a dash of baking soda with a quarter-size squirt of your favorite shampoo in a small bowl. Apply the mix to the outside of your hair to strip hair of dulling product buildup and crank up natural shine. 5. Have your favorite hair colorist add thin highlights (one to two shades lighter than your natural color) to the top of your crown and just around your hairline to create a natural sun-kissed effect. 6. Avoid heat styling tools as much as possible. Heat will dehydrate strands and rob it of shine. 7. Sleep on a satin or silk pillowcase or wear a similar sleep cap to retain hydration and shine. 8. Only use combs and brushes with smooth teeth or bristles to avoid adding additional light stealing snags to hair. 9. Build hydration from the inside out. 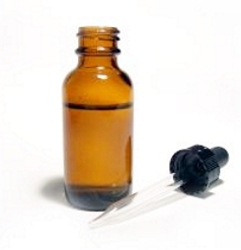 Take a daily Vitamin E liquid capsule to add shine to hair. Foods which naturally add shine include nuts, avocados and foods high in good fats. 10. Avoid razor hair cuts since they can leave sections and ends thin, fly-a-way or frizzy which may detract from shine enhancing light. Mix all ingredients completely together. Put a large handful into a heat proof bowl and saturate with boiling water. Cover and steep. Strain when cold. Add 1 tablespoon of citronella. Brush into the hair in the morning and at night to give it a healthy glossy shine. This mixture can be refrigerated for 24-48 hours before it will spoil. If the mixture has taken on an unpleasant aroma, pitch it and create a new batch. In addition to the all natural shine formula above, many people swear by using an apple cider vinegar rinse in the shower after a cleanse. Combine two cups of apple cider vinegar and one cup of lukewarm water in a clean shatterproof bowl. Apple cider vinegars acidity is close to that of natural hair. After hair has been detangled and rinsed before the final cool rinse pour vinegar rinse over top of hair. Catch the drippings in the clean bowl. Continue to pour the apple cider vinegar over the hair until there are no more drippings. Allow vinegar to remain on hair 5-15 minutes. Rinse well with lukewarm water to remove vinegar smell. Finish with a cook water rinse. When possible let hair air dry. 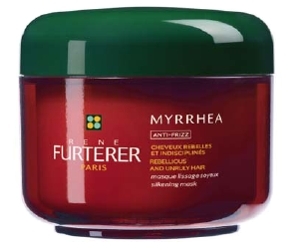 Ultimately achieving super shiny hair involves both prevention of hair care habits which can rob hair of shimmer as well as adopting techniques which will amp up the natural play of light over the top of the cuticles. 9 Responses to "How Do I Get My Hair Shiny Naturally?" how do I lighten black dark dyed hair without stripping it causing more damage? Hi Ann Marie…..thanks for your comment. Unfortunately when hair has been dyed very dark or black, it’s very difficult, if not impossible to remove the dark color without some damage. Black hair color has to be lifted with some sort of bleach or similar lightener to remove the dark color. Bleach and/or lighteners can be harsh and can cause damage. The best approach is to set up a consultation with a color expert and discuss your options for removing the black without adding additional damage. i am a 26 year old woman, and i am noticing more and more gray hair by the day. this is dubtirsing on many levels! i can’t believe that i am actually sprouting enough gray and silver hairs that people notice. 2. the hairs themselves are not just gray- they are wirey, they do not straighten under a blow dryer, and worst of all, break very easily. i’m worried that as the older and grayer i get- the less and less hair i will have. if all of my hair eventually turns gray (which i’m sure it will as my family is all gray) and if they all continue to break off into 4 inche spikes- i’ll be bald!! what should i do? anyone else experience this?? i have tons of gray, wirey spikes sticking out of my head!! Hi I purchased a semi colour clear to add shine to my hair which is foiled in blondes and browns. The packaging says I should use an activator however I’m not sure as I’m not using any colours this time (only wishing to add a healthy glossy shine). I’m thinking activating would only be to enhance colour at the time of colouring not applicable whilst only wanting to add shine to pre-exsisting hair colour???? the cuticle of gray hair is up to 30 times echiktr then naturally colored hair, making it coarser, wirey, glassy and really stubborn. These hairs are really stubborn to color too. to soften these unruly hairs you can pick up a box of perm solution for your hair type, squirt it all over the graying areas, process for about 15 minutes then rinse and neutralize. no need for rods or manipulting it in any way, you just want the solution to break down your hair a bit, not to restructure it in a new formation. just leave it down and damp and with the solution in it, you could comb it with a WIDE tooth comb if you want it stratighter. not more then 15 minutes, or the solution will really change the structure of your hair. the perm should eat through those stubborn cuticles and soften the hair making it more manageable. so freshly shampooed hair, no conditioner. comb out any knots apply the solution and let it do its thing *comb if you want to straighten* 15 minutes maximum then rinse for a few minutes, apply neutralizer, but take that out a minute or so early and rinse well again. dry and style your hair really well and keep it dry for 48 hours and it CANNOT be in a pony tail. youll have permanent ponytail hair if you put it up in that first 48 hours. it should be more workable. it should last you about a year or so. I don’t have much time to deal with my hair. When I want a sihrtgat look, I use this product and its fabulous. I’ve tried many “professional” products, but with very poor results. This product is the best. I can’t be without it. I’m glad I saw it here because I sometimes runout of it and my local beauty shop doesn’t always have it in stock. I use a quarter size amount on my toweled dry hair and then I blow dry with a big round brush and it sihrtgatens my hair out and leaves a smooth shiny finish. This is an excellent product.